Call me indulgent if you will, but being a summer baby, a pursuer of all things Summertime, by the time I get to the beginning of February, I am usually pretty fed up. Months of gloom, of dark evenings, and even darker mornings, freezing temperatures and ages still to go until those much yearned for summer holidays. And it’s the same every year, which is precisely why, as a young boy, I decided to brighten up this time of gloom by inserting a celebration bang in the middle of the winter gloom – my half birthday! And today is that glorious day, the day when, despite it’s being still 6 months until the always much anticipated date of my birth, I have a little mid-winter celebration, and find another excuse to indulge. It’s true that my friends and family have always considered my propensity to celebrate a half-birthday to be a little eccentric to say the least, but I was particularly interested to learn, from a quick search for images on google, that I am not the only one who likes to use this 6 months marker as an excuse to celebrate when our full birthdays seem so far away. And why not? Of 365 days of the year, is it not right that we can feel at least half as special on one extra day as we do on the one day which we can call our birthday? 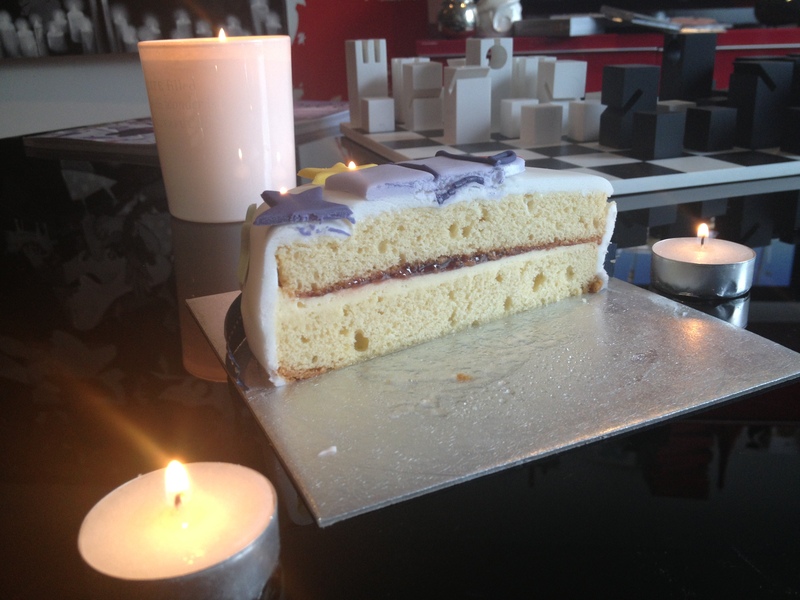 So in recognition of the auspicious day, I merrily headed out to Marks and Spencer to buy myself a cake which I then proceeded to cut in half (I’m not overly sure what I will do with the other half yet… something tells me it won’t keep until next year). In the meantime, I’m not the only one celebrating. 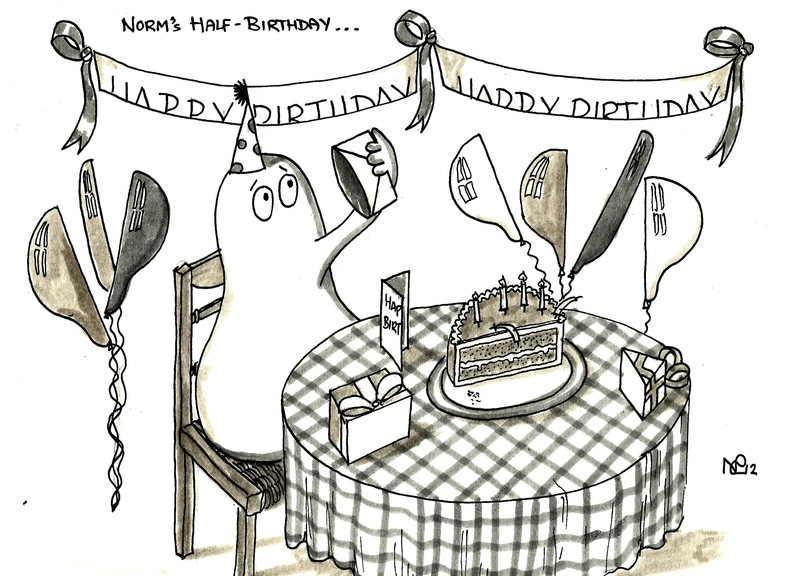 Here is Norm celebrating his half birthday, with a half cake, half balloons and a half birthday card to boot. Just a shame that without the other half of that card, he has no idea who it was from! Hope you have had a full-nice half-birthday. Or you could, like the Mad Hatter, celebrate EVERY day. So true! I think that the Disney film may well have planted the idea subliminally in my head… plus there’s a bit where the Mad Hatter cuts a tea cup in half! Great idea! Happy 1/2 birthday! !